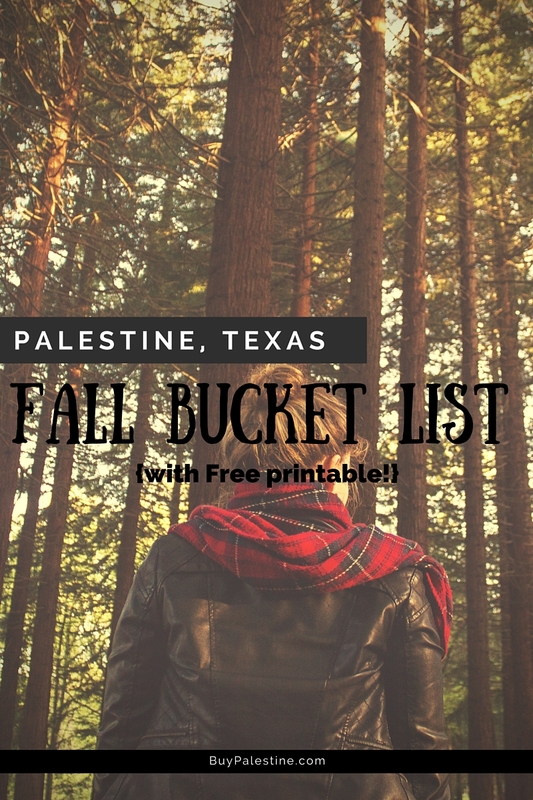 Palestine, Texas 2014 Fall Bucket List: A great list of things to do this Fall in and around Palestine! Fall is here! Fall is here! I’m ready to get in the spirit of things and there are a bunch of really awesome events coming up this season in Palestine, Texas! CLICK HERE TO DOWNLOAD FREE PRINTABLE LIST! Lisa E. Priest loves pumpkin-flavored anything and is a Palestine, Texas REALTOR® with Picket Fence Realty, Inc. You can reach her via phone or text at 903-948-3343 or read more at BuyPalestine.com.